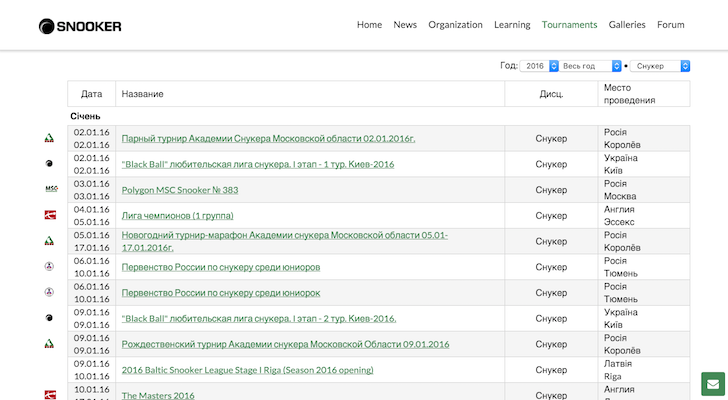 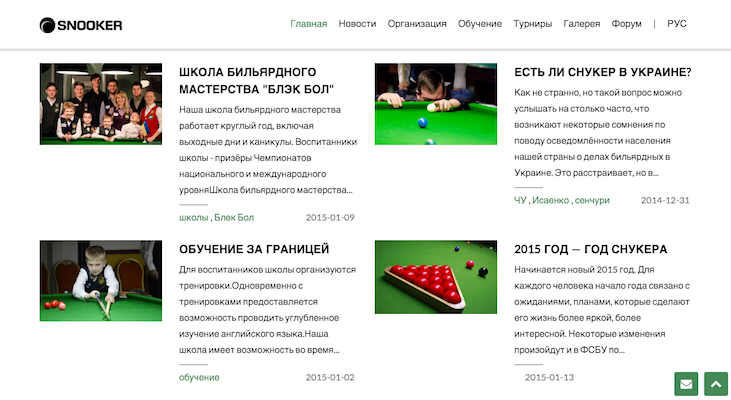 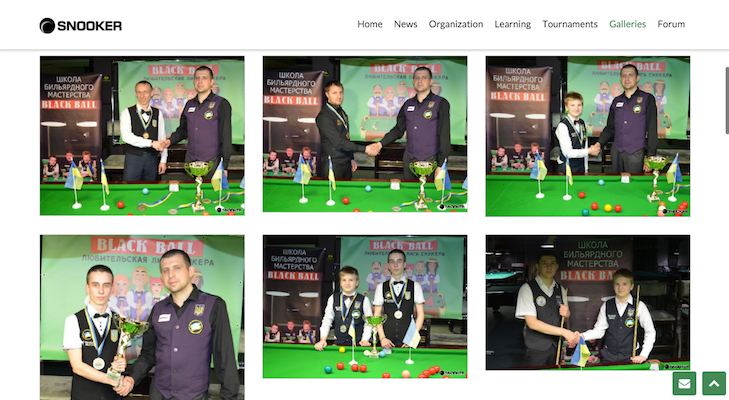 Website for Ukraine snooker (billiards) federation. 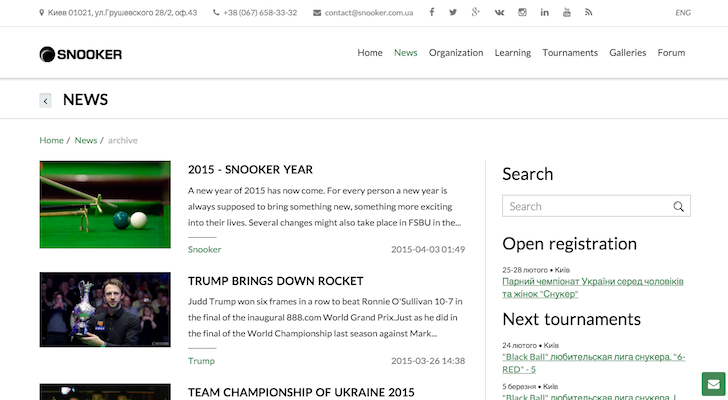 Contains news, galleries, information, couches profiles sections. Has tournamets calendar and an online-registration link for tournament participation. Admin panel is made for content management.